Please click on "My Account" button on the top of the page or in the Menu below the logo. 2. Click on Update Password. 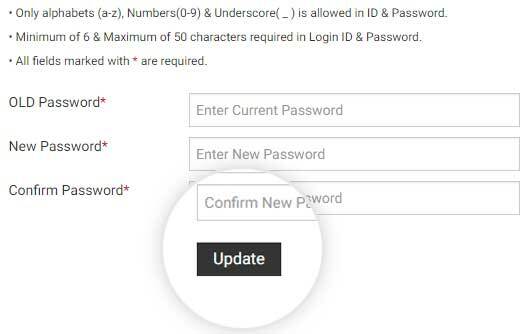 Enter Old Password and New Password in the form and Update. Congratulations!! Your Password is reset now.